Surveying the world's religions, from Buddhism to Zoroastrianism, and providing succinct yet thought-provoking insight into the philosophy and practices of each, The Religions Book is ideal for anyone seeking to gain a better understanding of the world's religions. With intriguing artwork, flow charts, and diagrams, complex world religions are made accessible in this comprehensive guide. 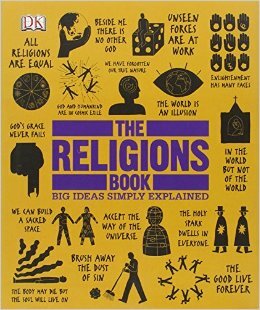 The Religions Book is also perfect for religion and philosophy students.